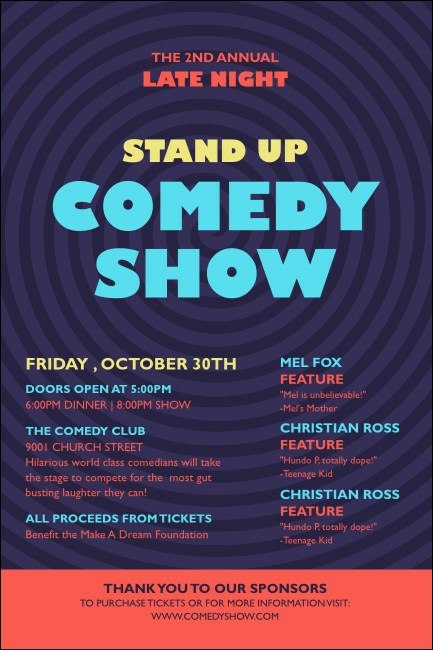 Break out of the same ol’ pre-event advertising routine when you print Comedy Spirals Posters and post them before your next show. This Poster template features an arresting black spiral in the background and gives you room to include as many as thirty lines of unique, colored text for all your event details. We’re always on a roll at TicketPrinting.com.